Milwaukee PBS began broadcasting on October 28, 1957, becoming the nation's 28th educational television station on WMVS-TV. It was licensed to Milwaukee Area Technical College which had established a Television and Video Production Program in 1952. This partnership was designed by community leaders in order to provide hands on training to MATC students, as well as support to the operations of Channel 10. In its first years, Channel 10 broadcast 17.5 hours of programming each week, Monday-Friday 5 p.m. until 8:30 p.m. 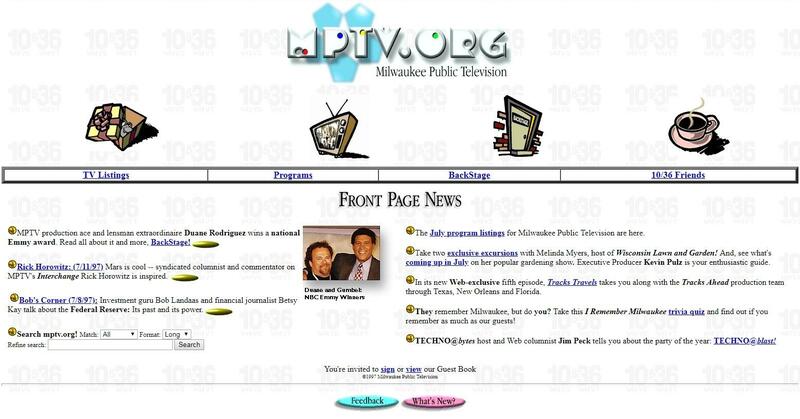 Shortly into its launch, Milwaukee Public Schools and the Catholic Archdiocese began using Channel 10 as an instructional tool, one of the main catalysts for the station's rapid growth. 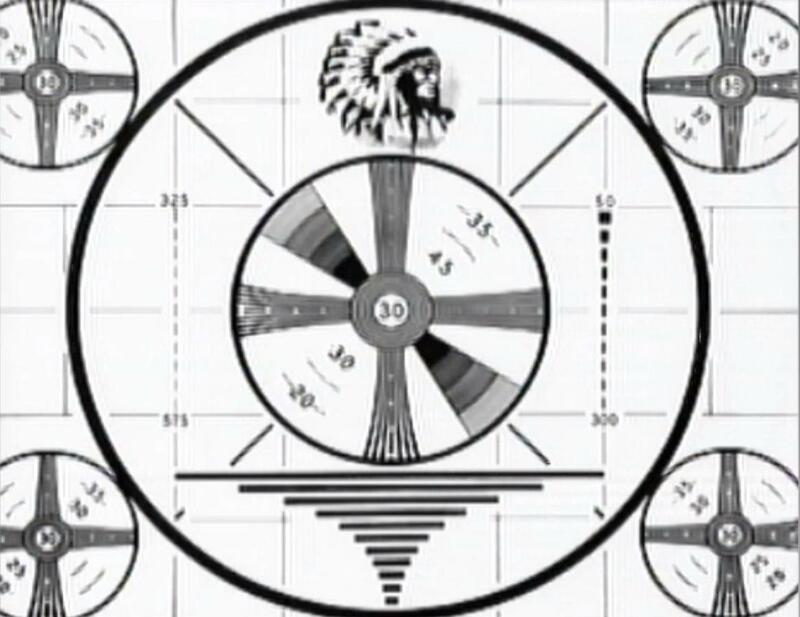 By 1962, it was broadcasting a total of 69 hours weekly. 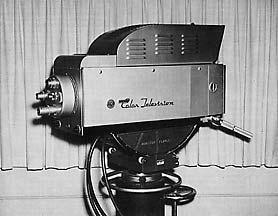 1952 - Milwaukee Vocational School applies to FCC to operate Channel 10 as Milwaukee's First Educational Television Channel. 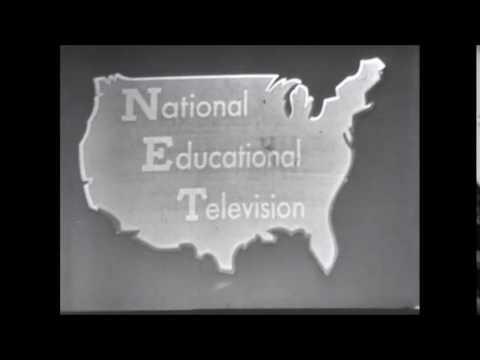 1954 - MATC establishes TV Technician and Television training programs. 1957 - First live instructional broadcasts to the Milwaukee Public Schools featuring Lois Deckow. 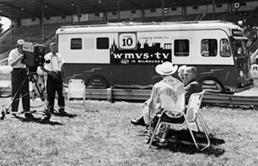 1961 - First live remote broadcast from Wisconsin State Fair. 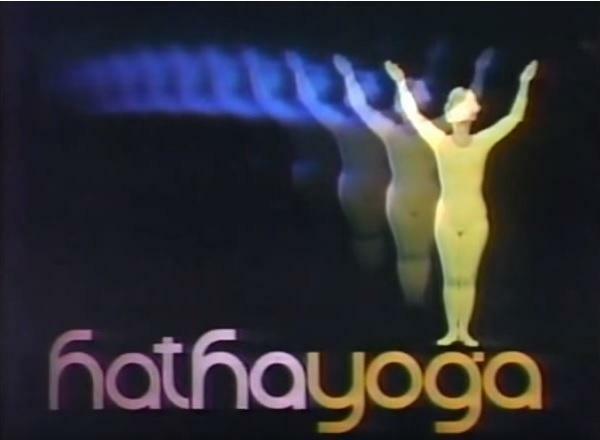 1970 - HATHA YOGA with Kathleen Hitchcock, Milwaukee PBS' first national production, premieres. 1984 OUTDOOR WISCONSIN premieres. Later will become the first national series produced locally. 1985 - First station in Wisconsin to broadcast in stereo sound. 1990 - TRACKS AHEAD - series premieres - later becomes a national series. 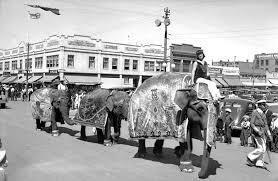 1999 - THE GREAT CIRCUS PARADE produced as he first live HD broadcast on PBS. 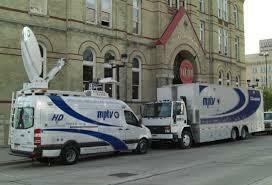 2003 - Remote HD truck is put into service to enable coverage of community events in high definition. 2006 - The multi-Emmy award winning THE MAKING OF MILWAUKEE - mini series premieres, scoring the highest public TV prime-time ratings in the nation. Milwaukee PBS V-Me Spanish language channel premieres as a Milwaukee PBS multicast. 2010 - I AM THE FIT GENERATION initiative launched to encourage healthy eating and physical activity in children. 2012 - Friends of Milwaukee PBS, a non-profit whose primary mission is to help financially support Milwaukee PBS, merges with Milwaukee PBS as one organization. Milwaukee PBS' Master Control moves to Florida with consortium of other public television stations. 2015 - Bohdan Zachary takes over as General Manager. 2017 - Milwaukee PBS Presents premieres. Made up of four great local programs that rotate throughout the month, including Black Nouveau, ¡Adelante!, 10thirtysix and The Arts Page. 2016 - Milwaukee PBS launches a new look for the website. 2017 - Milwaukee PBS adds "Around Milwaukee" page to the website featuring local stories not appearing on air. 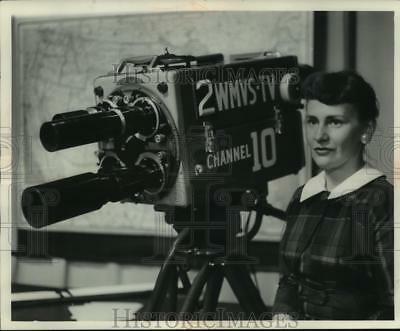 Channel 10 began offering additional programming from other public television stations through the National Educational Network but was also producing and airing local programs such as "Wee Weekly", "The Inquiring Mind", "Way Off Broadway", "Green Thumb", and "Golden Years". 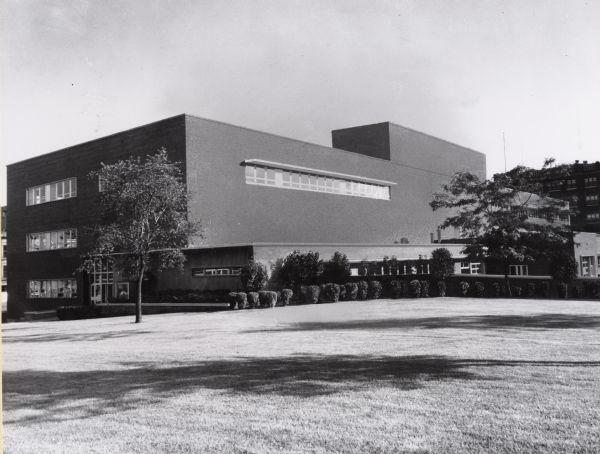 In 1963, MATC obtained a license for a second station, WMVT-TV, assigned to Channel 36. Throughout the years, the two stations experienced technological advances, including broadcasting in color in 1965, joining the PBS satellite system in 1978, stereo broadcasting in 1985, and digital broadcasting in 2000. Milwaukee PBS offers its two over-the-air channels in high definition, and four additional channels, including WORLD on Milwaukee PBS 36.2, PBS KIDS on Milwaukee PBS 10.3 and CREATE on Milwaukee PBS 10.2, as well as a weather/traffic channel. Over 200 hours of programming are broadcast each day, 365 days a year, and viewers enjoy a quality mix of public affairs, cultural, entertainment, children's and adult education programs. Our local award-winning shows include "Outdoor Wisconsin", "Around the Corner with John McGivern", "¡Adelante! ", "10thirtysix", "Black Nouveau", and "The Arts Page". In 2018, Milwaukee PBS produced a four-part series "Cook.Plate.Dine" which featured Milwaukee Area Technical College's culinary arts program. Milwaukee Vocational School (predecessor of MATC) applies to the Federal Communications Commission to operate Channel 10 as Milwaukee’s first educational TV station. MATC establishes TV technician and telecasting training programs. The first live instructional broadcasts to the Milwaukee Public Schools as part of Ford Foundation experiment. First adult tele-course, INQUIRING MIND, produced for National Educational Television (NET). First live remote from the Wisconsin State Fair. 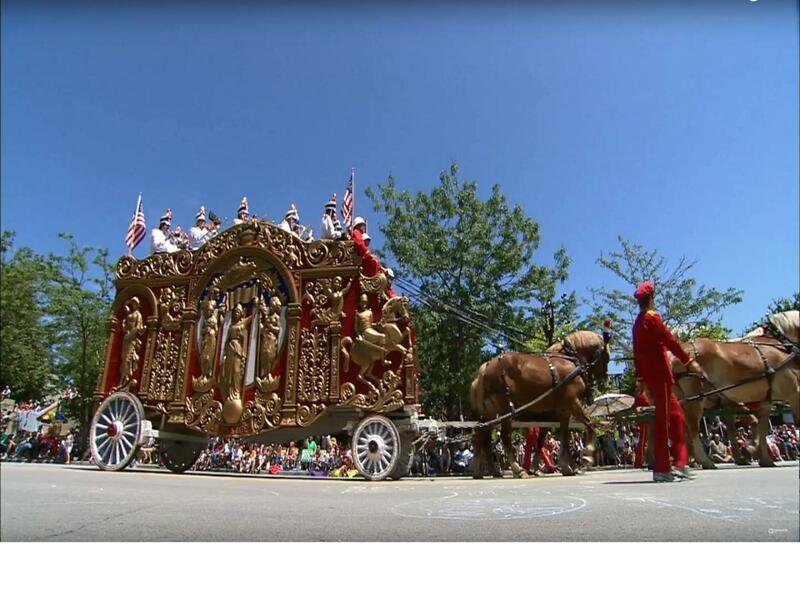 First live broadcast of Milwaukee’s Great Circus Parade (eventually coverage offered nationwide). 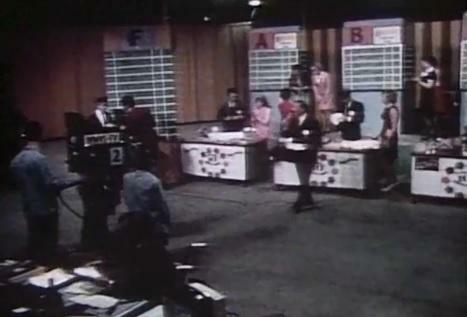 The nation’s first educational TV broadcast of a color program using an experimental flying spot scanner. First Great TV Auction — raised $67,000. Live broadcast of the opening of the Milwaukee Performing Arts Center. 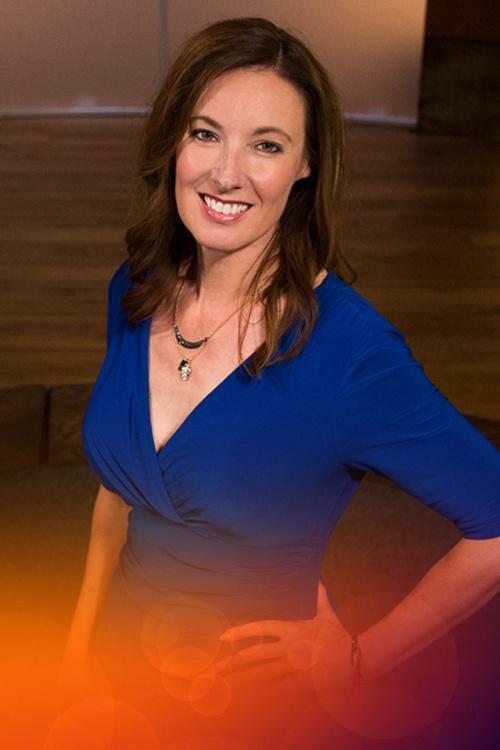 HATHA YOGA with Kathleen Hitchcock, Milwaukee PBS’s first national production, premieres. First live telecast of a courtroom trial in Wisconsin, second in nation, the Amaro murder trial. Public/private transmission tower cooperative between WVTV-TV, Channel 18 and Channels 10 and 36. OUTDOOR WISCONSIN premieres (becomes national series). First station in Wisconsin to broadcast stereo sound. National Emmy award recognition for participation in national Descriptive Video Service experiment. Local Hispanic program CONCIENCIA offers Spanish translation on Second Audio Program (SAP). THE GREAT CIRCUS PARADE taped in experimental HDTV (HD) format. TRACKS AHEAD series premieres (becomes national series). 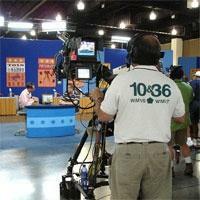 WMVT-TV used to conduct world’s first full-power digital broadcast test with Zenith/ATT. First Young Writers’ Contest held to encourage literacy. Installed digital satellite reception equipment. Ground was broken for 1,221-foot digital tower cooperative with American Tower, Inc. THE GREAT CIRCUS PARADE produced as the first live HD broadcast on PBS. WMVS is first digital TV station to sign on the air in southeastern Wisconsin. Remote HD truck is put into service to enable coverage of community events in high definition. The Remote truck had an upgrade in 2017 to reflect our station logo. The multi-Emmy award winning THE MAKING OF MILWAUKEE mini-series premieres, scoring the highest public TV primetime ratings in the nation. Milwaukee PBS V-me Spanish language channel premieres as an Milwaukee PBS multicast. Four new multicast channels premiere, Milwaukee PBS CLASSICAL, Milwaukee PBS JAZZ, Milwaukee PBS WEATHER, and Milwaukee PBS TRAFFIC. 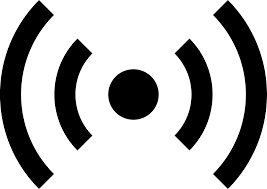 Analog WMVS and WMVT sign-off the air, replaced by digital WMVS and WMVT. 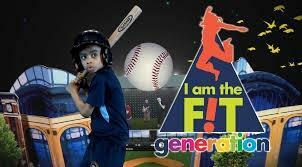 I AM THE FIT GENERATION initiative launched to encourage healthy eating and physical activity in children. Year-long Finding Work initiative launched, featuring monthly series JOBS. 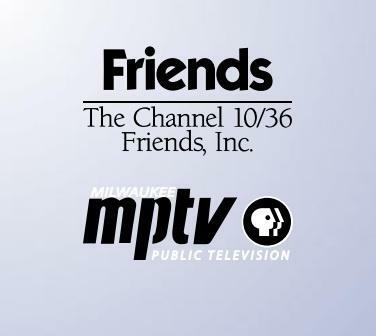 Friends of Milwaukee PBS, a non-profit whose primary mission is to help financially support Milwaukee PBS, merges with Milwaukee PBS as one organization. Milwaukee PBS’s Master Control moves to Florida with consortium of other public television stations. 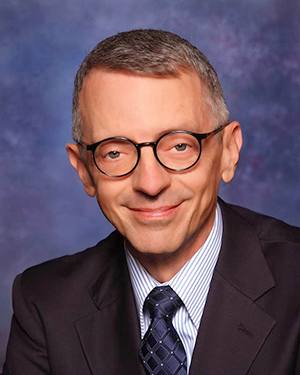 Bohdan Zachary takes over as General Manager. 10THIRTYSIX, a monthly news magazine featuring the diverse stories of Wisconsin, premieres. Milwaukee PBS launches new mobile friendly website and digital first focus.